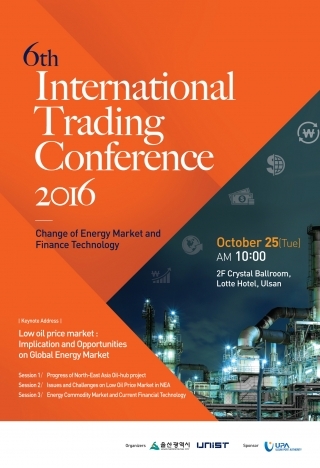 The 6th International Trading Conference(ITC) will be held on October 25th, 2016. The topic of this year’s conference is “Change of Energy Market and Finance Technology”. This conference has been co-organized by Ulsan Metropolitan City and Ulsan National Institute of Science and Technology (UNIST), and sponsored by Ulsan Port Authority (UPA).